Imagine an enterprise software development project where the customer says “we are going to take a long time to get this done and we don’t expect to see any results for at least two years”. Can you imagine it? Me neither, and the truth is that it will probably never happen 🙂 So what is reality? In the real world of enterprise software development, the key for any development team is to provide maximum value to and work closely with the customer, to be able to build a culture of true ingenuity, and to be able to meet the customer’s changing needs in a way that there is minimal disruption, if any. In the early days of software development, it was not uncommon for months to pass before any development began, and once development started, it could be months or years before any type of finished product was ready for testing. The requirements definition and gathering process was often very long, and in many cases the development team was isolated from the customer. Once requirements were complete and development had begun, change was just not something that was easily entertained. Let’s keep in mind that concepts such as Continuous Integration and Configuration Management were unknown and use of source control repositories was not as mainstream as it is now. A change in requirements was just quite difficult to accommodate and was generally frowned upon. 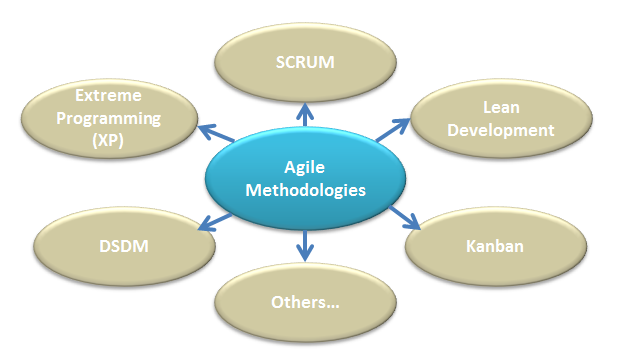 When we discuss Agile Methodologies, we must also mention Scrum, Lean Software Development, Kanban, Dynamic Systems Development Method (DSDM), and Extreme Programming, since these methodologies all share the same philosophy. In a nutshell, Agile is about communication, teamwork, collaboration, adaptability, iteration, feedback, and of course, agility! The development initiative is broken down into efforts of short duration and change is not only expected, it is embraced by all stakeholders. To successfully implement Agile, an organization must embrace its concepts and philosophies at all levels. Agile provides a framework with which teams can maintain focus on rapidly delivering working software and providing true business value, even in environments where the technical and functional assets and landscape may vary or change routinely. We can say that Agile allows development teams to provide maximum business value through the delivery of truly valuable, working software that meets the business needs. How do we know that the software truly meets the business needs? Because all of the stakeholders are involved and quality and scope verification take place in short, iterative cycles. Deviations from the true purpose of a feature or piece of functionality can be identified quickly and corrected in an agile manner. If we go back to the Agile Manifesto, there are 4 key points that it outlines. If Agile is properly implemented, with buy-in from stakeholders at all levels of the organization, productivity and competitive advantage are maximized and cost is minimized. Of course Agile is not necessarily about reducing cost, but when properly implemented and managed that is a side effect that is very nice. Let’s discuss the key points above in greater detail. The greatest processes and tools in the world are worthless without the right people effectively communicating and interacting. Regardless of the size or maturity of the organization, we should start with people then decide the appropriate processes and tools to make our Agile development more effective. In the days of waterfall development, I can remember the latter stages of larger projects being consumed with the creation of mounds of documentation! I remember working with teams of technical writers as they produced both functional and technical documentation for software deliverables. With Agile, any documentation that is created is usually created while development takes place. The rapid develop/release approach facilitates concurrency among developers, business analysts, and writers, and in an Agile environment the business analysts often produce the documentation. Regardless of the use of Agile or not, it is rare that a customer not require some type of documentation and there is nothing wrong with that. But, in an organization that is truly Agile-oriented, working software is always the primary, core deliverable. Let’s face it, as long as development teams provide services for customers, there will always be contractual obligations. But when we use the term “contract negotiation” we imply an us versus them mentality and this is detrimental to the Agile process! For the Agile process to be effective, we need contractual vehicles that are flexible and that are developed and written to effectively handle change. It is not uncommon to work with a client via a Firm Fixed Price (FFP) contract. From the customer’s perspective, FFP is preferable because it transfers risk to the service provider. In this case, Agile is still a valid development methodology IF the customer understands and truly embraces Agile concepts. 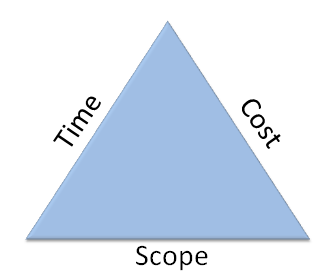 The difficulty sometimes comes into play when the customer insists on defining functionality up front, forces the service provider to sign a contract whose estimates are based on these initial requirements, then tries to introduce scope creep as the project progresses. I sometimes refer to this as “agile under waterfall”, but Agile is still a good fit for such an endeavor. Obviously, a FFP contract is not the preferred vehicle under which to execute Agile, but it is still attainable if all stakeholders are well-versed in and embrace Agile concepts. Although detailed project plans and fancy Gantt charts are impressive, they are not useful with Agile. You read that right! Agile is based on release schedules where the prescribed functionality may be defined, but it is understood that it may change. Project progress within Agile is based on burndowns. Regardless of the actual functionality delivered, progress is still made over time. The total estimate may change due to newly-identified requirements or scope changes from the customer. Prior to the emergence of Agile, a large number of software development projects failed or were cancelled with little or no working functionality in place. Teams often spent months or years working on a project with nothing tangible to show for their efforts. In many cases, projects were developed and delivered only to find that they did not meet the true needs of the business! Imagine after months or years of work and possibly millions of dollars of investment to discover that your needs haven’t even been met! From the Project Management Institute’s (PMI) standpoint, Risk Management is a key knowledge area and something that is very high on the Project Manager’s priority list. All project managers should understand risk. It is just an inherent dynamic within any project and one that has to be understood, and either avoided or mitigated. So, what is risk? By its formal definition, risk is something that can or may occur and that could cause unexpected or unanticipated outcomes. Project managers know that risk is not always something negative. Opportunities are risks as well. But risk is something that, positive or negative, has to be identified, quantified, and managed. The situation, environment, project, people, etc determine when, where, and how risks are managed. Agile reduces risk through through stakeholder involvement and rapid, iterative development and release. This means that evaluation of scope verification take place routinely, which effectively reduces risk. The greatest single threat to Agile is management! More specifically, functional management with unrealistic expectations. In some organizations, Agile is nothing more than a buzzword because the stakeholders have not been educated in its fundamental concepts. Earlier in this post, I mentioned the need for Agile to be understood and embraced by every stakeholder, from the top down. Without this understanding and support, it will likely fail or at the very least leave managers with a bad taste due to the fact that the development Project Manager tells them “we can certainly modify our approach and give you functionality X but requirement W is going to have to be pushed back to a future iteration.” In the case of FFP, requirement W may just have to drop off entirely! With Agile, change is welcomed, even late in the development process, but in the case of FFP, it is possible that certain changes can significantly affect the project end date and thus necessitate contract extension. So, Agile is a software development methodology that fosters rapid delivery of valuable, working software in an iterative manner. It values people and communication over processes and tools. It prefers working software over comprehensive documentation. It favors active and dynamic involvement of the customer and proper, effective identification of the true needs of the business over contract negotiation. It advocates the ability to nimbly respond to change, even late in the development process to following a detailed, pre-defined plan. It can be argued whether or not it negates the need to perform Risk Management, but it is safe to say that with constant and active involvement of the customer and self-organizing, professional, competent, and productive development teams with a true dedication to the customer’s mission and a clear understanding of the customer’s needs, it can be enormously successful and a win-win for both the customer and the development team. I will reiterate this final point because it is so hugely important – Agile MUST be understood and embraced by every member of the organization, from the CEO to the day-to-day tactical and functional personnel. Without this complete organizational buy-in and effective communication and interaction between all involved stakeholders, it will not be successful. In the next post, we will discuss Scrum in detail. This entry was posted in Agile and tagged Agile, Agile Development, Agile Project Management, Agile Software Development, Burndown, DSDM, Enterprise Software Development, Extreme Programming, Kanban, Lean Development, Project Management, Risk Management, Scrum.